Shame! Embarrassment! Humiliation! Scandal! Ignominy! Words such as these were bandied about on Tuesday evening. There were tears from more than one person. A few arguments broke out. Some wondered out loud if they would be able to go to work the next day. Others swore the would never leave Brazil again so they wouldn’t have to face the rest of the world. A couple of people predicted trouble. There were going to be riots. The country was going to rise up. Everything would stop working. The world was going to end. It is true that a few people didn’t make it in to work the following day, but that was more down to the effects off too much bad beer than feelings of shame. Apart from a few isolated incidents, there wasn’t much trouble, the country has risen up (much to the chagrin of people who should know better) and the world hasn’t ended. Most Brazilians I know have reacted to the 7-1 loss to Germany in the World Cup semi-final just as I would have predicted, if ever I though such a result were possible. They have shouted at the TV, cursed Galvão (if they still watch him), cried a bit, opened a beer, cracked a few self-deprecating jokes and got on with it. One very interesting thing for me was the speed with which jokes and memes hit the internet. Midway through the 2nd half I was seeing some great stuff on Facebook, and most of it was by Brazilians. This shouldn’t have been too surprising Brazil is a very connected country, but the speed with which they accepted the inevitable and then started joking about it was impressive. In newspapers and on TV there is talk of conspiracies and recriminations in the Senate. But most people I have met have talked about it a bit, and then got on with whatever it is they needed to do. There does seem to be a bit of a divorce between what the media are talking about and what Brazilians I know are talking about. This was evident right from the start of the World Cup. Hardly anybody I spoke to really expected Brazil to win. There was hope, but no expectation. There was a realisation that this team was far from a vintage one and that there were other stronger teams in the world. A few suggested that simply by being at home they would have an advantage that might see them win, but this was never going to be anything to build all your hopes on. And so now most eyes are turned to the final on Sunday. Nobody really cares about Saturday’s 3rd/4th place play-off, and most people seem to think it is a waste of time and should never be played. The only thing that could really upset people now is if Argentina win in Rio de Janeiro, but even that, I think, wouldn’t be the end of the world. 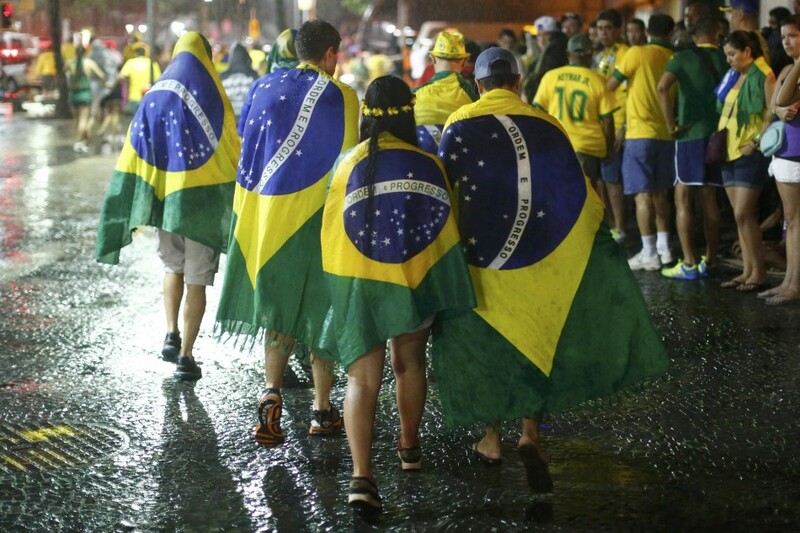 World Cup 2014: Brazil, Football and Music. Posted on July 8, 2014 by Stephen Greene Tagged Atletico ParanaenseBrazilBrazilian musicElis ReginaWorld Cup	CommentsNo Comments on World Cup 2014: Brazil, Football and Music. Right back at the beginning of the Word Cup, and the start of my series of posts for MKB World Cup for Kids, I asked people what Brazil was famous for, with the idea that I could write some posts based on these ideas. One person, on Facebook I think, rightfully mentioned that Brazil is famous for samba but that there is also a lot of other music that Brazil doesn’t get recognition for. There are great jazz musicians, heavy metal artists, funk singers and DJs that all come from Brazil. There are also a lot of crap sertanejo, pagode and axé musicians around, but then every country has its fair share of shame in the music stakes. But as this is the World Cup I thought I’d share some of the music from Brazil about, or inspired by football. I don’t make any claim to all of them being on my playlist, but I have culled a lot of songs that I think are awful. If you would like to find out about more songs from Brazilian artists about football you can do a Google search for musica brasileiro futebol. This song is about a footballer whose nickname was Fio Maravilha. It tells the story of a friendly game in which he was brought onto the pitch in the 33rd minute and scored ‘the goal of an angel’. Due to legal problem between the singer and the player you’ll often see the song called Filho Maravilha, which would be translated as ‘Wonderful Son’. This particular version also features the brilliant Gilberto Gil. Skank are a rock/reggae/indie band that started in the early 1990’s. Despite being very successful in Brazil they haven’t really sought international recognition, which surely would have been theirs if they had tried. I love Elis! I think she has to be one of my top two favourite Brazilian musicians. She sang some great political songs during the dictatorship and managed to get away with it. I like to think this was because of her voice, but it was probably because the authorities were too stupid to figure out what she was actually singing about. This isn’t one of her best, but it’s still pretty good. Pixinguinha was one of the first popular Brazilian musicians. He started playing in bands and recording songs when he was still a teenager in the early 20th century in Lapa, Rio de Janeiro. He is credited with bringing choro to the Brazilian masses as well as being around for the birth of samba. Along with Elis Regina, Chico Buarque is probably my other favourite Brazilian musician. If you have never heard of him, them shame on you. For this particular song I chose a video with images of Garrincha, the Brazilian footballer who was probably better than Pele, and definitely loved more than the Viagra-selling-wannabe-politician. No, this isn~t a lament for Brazil’s star player breaking his back. Instead, this song is a letter to Neymar telling him that the author will not be supporting Brazil at this World Cup because of the corruption, huge budgets and the problems facing Brazilian society. Practically every team in Brazil has its band of drummers and my team, Atlético Paranaense, is no different. The organised supporters group for Atlético is called The Fanáticos, and they have come in for some criticism for links to hooligans and crime. They have a decent set of drummers, though. I have left loads of songs off this list. If you know of any in particular that you think are better than the ones I have mentioned, please just leave a comment below. As a kid, I played football with anything: stones, empty drinks cans, rolled up socks, space-hoppers and cricket balls. I was football crazy, so I didn’t really care how much a cricket ball would hurt my foot, I just wanted to kick it. While kids will kick anything in an effort to play the beautiful game, there is nothing better than playing with a real football. The problem is, though, that they can be very expensive and tend to deflate very quickly when you shank one into next door’s window. That hissing sound of air escaping from a ball has to be one of the nightmare sounds from my childhood. That’s why I am so excited to support One World Futbol in their mission to bring the healing power of play to youth worldwide through their nearly indestructible soccer/football. The One World Futbol never needs a pump and never goes flat—even when punctured multiple times—due to its ingenious technology. But what we truly love about their model is for every ball purchased, they donate one to organizations working with youth in disadvantaged communities worldwide. Follow along by using the hash tag #MKBWorldCup! 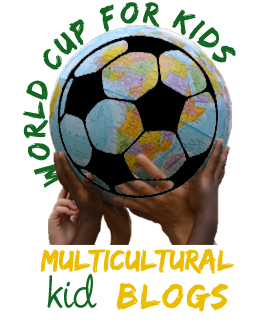 We have a special giveaway planned during the World Cup with Multicultural Kid Blogs and One World Futbol. It’s unlike a usual giveaway as this time you, our readers, are using your collective power to vote to give the ball away to a community in need! We need your help so we can donate one of the One World Futbols (generously supplied by One World Futbol) to the Richard Swanson – Breakaway Brazil campaign. Richard Swanson had a dream of dribbling a football all the way from Seattle in the USA to Brazil for the World Cup, but unfortunately his dream was cut short when he was hit and killed in Oregon just two weeks into his journey. But here’s the thing–there are 9 blogs participating in this contest, and One World Futbol will donate balls to the three blogs that get the most shares on their posts. So we need your help–please SHARE this post on Twitter, Facebook, G+ and Pinterest and contribute your power, your vote to help us donate this One World Futbol. Each share make directly from this post is tallied as a vote. And whoever get the most votes, donates the ball! Let’s show how strong our voices are with our votes. We have until midnight ET on Sunday, July 13, to get as many shares as we can on this post. (The tally will be made based on the number on the social share buttons at the end of this post). So let’s start now! Feel free to use #MKBWorldCup when you share! 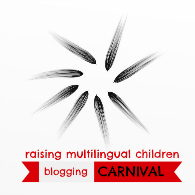 And don’t forget to visit Multicultural Kid Blogs to help them “unlock” an additional two One World Futbols to donate! One World Futbol Project is a B-corporation based in Berkeley, CA and was founded by Tim Jahnigen, the inventor of the One World Futbol. One World Futbol was inspired by refugee youth in Darfur, who had such indestructible spirits – and love for football! – despite their hardships. Tim Jahnigen wanted to give them something more, so he invented a soccer ball that would never need a pump and would never go flat, even when punctured multiple times. One World Futbol Project and its virtually indestructible ball have now reached 160 countries and continue to bring the healing power of play to youth worldwide. The Buy One Donate One model makes it easy for consumers to donate these amazing One World Futbols to needy communities. The following member blogs are participating in this contest. Visit them to see which organizations they have chosen. Remember, sharing is caring! The 3 blogs with the most social shares (as shown on the share counters on their blog posts) will get to donate a football to the qualified organization they have chosen! 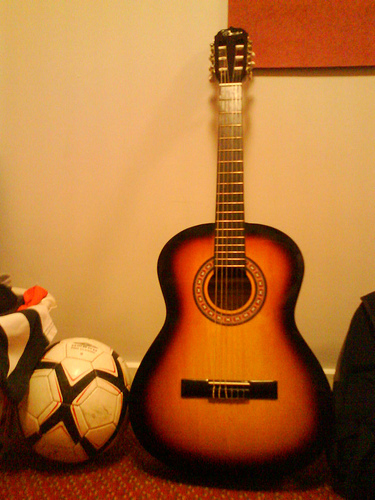 Help “unlock” an additional two One World Futbols at Multicultural Kid Blogs! See all of the posts in the World Cup for Kids project, plus follow our World Cup for Kids board on Pinterest, and join the conversation on Facebook and Google Plus! When I first moved to Brazil there were many sights and sounds that were new, funny or just plain downright weird. There were a number of times when I was left open-mouthed when I saw something for the first time, like the Oil Man of Curitiba or 80-year-old men walking around town in just their Speedos. One of the things that sticks in my mind was the time I saw a row or 4 or 5 blind people crossing the road. The first person was walking with a white cane with the next person following him with his hand on the lead man’s shoulder. The third person, in turn, had his hand on the second person’s shoulder, and so on. Obviously I had heard the expression ‘the blind leading the blind’, but I thought it was just an clever turn of phrase. But here it was, in Curitiba, Brazil, an actual reality. When Brazil walks out this evening in Fortaleza to meet Colombia in the 1/4 Finals of the World Cup, they will do their impression of the blind leading the blind. They have a new ritual whereby they captain, Thiago Silva, walks on to the pitch and the next in line puts his right hand on the captain’s shoulder. The third player then puts his hand on the second player’s shoulder, and so on all the way down the line until the 11th player who has nobody’s hand on his shoulder, except maybe for that of fate. 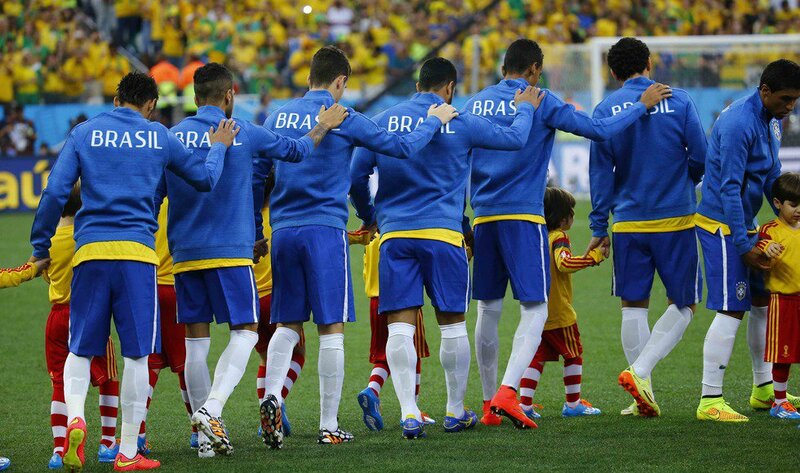 This ritual was first seen in Brazil’s opening game of the World Cup against Croatia. Apparently it was the brainchild of Silva and David Luiz and a friend of theirs. The explanation for the ritual is that “you can give your hand to anyone, but the shoulder is just for friends.” I’m not quite sure what that is supposed to mean. Elephants ready to play football. Personally, I don’t like this hands on shoulders things. As well as images of blind people crossing the road, I also see the elephants holding tails in the Jungle Book. But worse than these images is that it looks like forced camaraderie, that they were looking around for a gesture to show how much they are a team, instead of 11 individuals. Where they are getting it right is during the singing of the national anthem. At this point, the team comes together with arms around each other’s shoulders and they sing the national anthem with the crowd, continuing when the music has stopped due to absurd FIFA regulations. This seems a lot more natural to me, as opposed to the shuffling onto the pitch of 11 people forced to play football together.